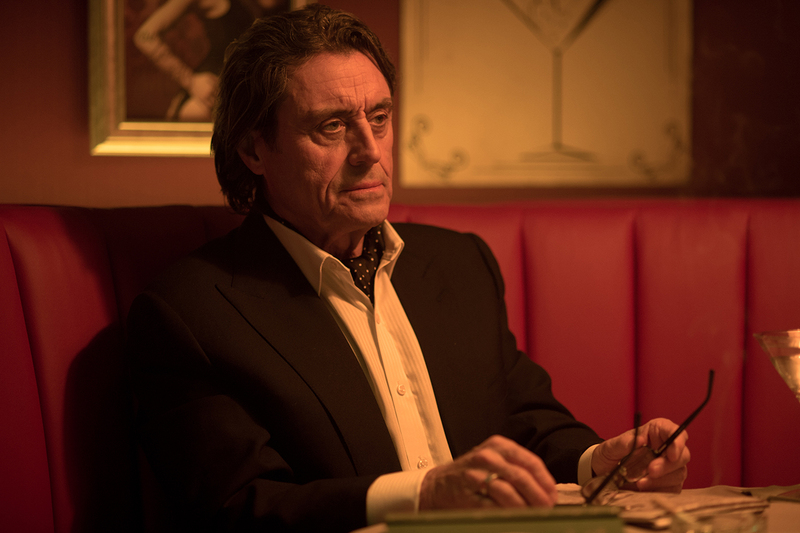 Game of Thrones has cast Ian McShane in season six of the hit HBO fantasy series. The network confirmed the Deadwood alum for the upcoming season but did not reveal his role, according to The Hollywood Reporter. McShane, best known for his role as the appropriately named foul-mouthed entrepreneur Al Swearengen in Deadwood, is the first new cast member to be confirmed for Game of Thrones season six. The actor is currently guest-starring in the third season of Showtime’s Ray Donovan. Few plot details have been revealed about the upcoming season of Thrones as the show has caught up to the fifth, and most current, book in the series authored by George. R. R. Martin. The sixth season is currently in production, and Martin has again bowed out from writing any episodes as he’s attempting to finish book six, The Winds of Winter. A few months ago, McDonald’s shared an inside look at how the chain makes its signature french fries. Now, thanks to this handy tutorial from PopSugar, you can make your own copycat snack at home. It’s certainly a much more labor-intensive process than simply walking to the nearest McDonald’s location and buying some — but this way, you can make them without chemical additives like citric acid and sodium acid pyrophosphate. According to another McDonald’s video released earlier this year, the recipe contains 19 ingredients, but to make this at-home version, you just need potatoes, corn syrup, peanut oil, beef lard, water and salt. Oh, a decent knife will help too. Watch the video tutorial above, and check out the full recipe here. By 2020, there will be billions of IoT devices in the market. After learning a lesson with mobility, Microsoft is using Windows 10 to edge its way into billions of dollars of new revenue. In 2014, Cisco predicted last year that we would have more than 50 billion connected devices by 2020. This number was considered bullish by some, but cautious by most. Now, Juniper Researchforecasts that the number of Internet of Things-connected devices will be 38.5 billion in 2020. With almost eight billion cellphones active in the world already, within five years we could have staggering numbers of connected devices. The biggest issue of IoT, however, is not the connectivity of devices, but how to leverage and analyze the massive amount of data being collected. Machine-to-machine (M2M) devices and applications have existed for decades in fields such as factory automation, security, and city sensors. Those devices perform basic functions, allowing the machines to interconnect and do their job, but they are not designed to collect and analyze data. Now, with the introduction of wearables and IoT devices, together with the data they store and share, the challenge is how to handle that data and create new products and applications to make use of it. The lack of standards is one of the main barriers to mass adoption of connected devices, many experts agree. Lack of standards was a big topic of discussion at the Internet of Things World Forum in Barcelona last November. Yet many players are developing their own IoT networks, effectively creating a Tower of Babel that will make it difficult to manage and connect all these devices. Many devices being installed, such as smartmeters, are expected to be operational for years, even decades. The security systems embedded in those devices might be good enough today, but not in the future. Enterprises are feeling the challenge, too. While most corporations agree that they need to invest in the IoT, very few are taking serious steps to deliver products and applications, mostly because of the difficult and expensive task of integrating with their existing IT infrastructure. "We're still at an early stage for IoT," noted Juniper Research author Steffen Sorrell in a July 28 statement announcing the new research. "Knowing what information to gather, and how to integrate that into back office systems remains a huge challenge." Both Apple and Google have been stepping up their efforts to dominate the IoT market, especially for consumer devices. Last year, Apple launched its "smart home" platform, and Google, after purchasing Nest for $3.2 billion, also launched a similar platform for Android. Now Microsoft aims to get into the IoT market with specific flavors of its brand-new operating system, Windows 10, which the company officially released July 29. Windows 10 will include a new IoT edition for small devices that is tuned to run Windows universal apps and drivers and is royalty free to makers and device builders. "To address emerging IoT device categories, we are delivering a new version of Windows 10 for small devices that will be free for Makers and commercial device builders and device services to unlock new scenarios," the software giant noted in a blog post. "Additionally, through partnerships with the Raspberry Pi Foundation, Intel, and Qualcomm, we will provide a range of developer boards Makers and device builders can use to bring Windows 10 devices to life." Microsoft is launching three different versions of Windows 10 IoT: One for small devices, another one for mobile, and the third one for industrial devices. Redmond may have missed on out on mobile. (Its Windows 10 Mobile platform will not be released on the same day as Windows 10 desktop, and its Nokia acquisition is a major drag on the bottom line.) However, company executives seemed determined not to make the same mistake with IoT and the billions in revenue it could produce. Windows 10 is the first, and probably the company's most powerful, step in that direction. In a July 28 research note, Ovum analyst Richard Edwards writes: "Microsoft is pinning its future hopes on Windows 10, too, but this isn't about recapturing the important mobile operating systems market (it's pretty much conceded that to Apple and Google), it's about gaining a strong foothold in the next multi-billion dollar market: The 'Internet of Things.'" Wireless Zone, meanwhile, saw a 176 percent increase in total sales, 35 percent increase in specific product sales and a 9 percent increase in profit in the first month they ran FantasySalesTeam. Microsoft says FantasySalesTeam’s software will be integrated into its own Dynamics CRM platform, but it will continue to support those who are using it with other CRM solutions. And it said it will evaluate how to apply FantasySalesTeam’s feature set to other areas outside sales in the future. Founded in 2012, FantasySalesTeam had raised $1.4 million in outside funding from investors including ATX Seed Ventures, Central Texas Angel Network, and Marvel Venture Partners, according to CrunchBase. This year it had closed on its Series A, which was $750,000 of that $1.4 million. Terms of the deal to Microsoft were not detailed.